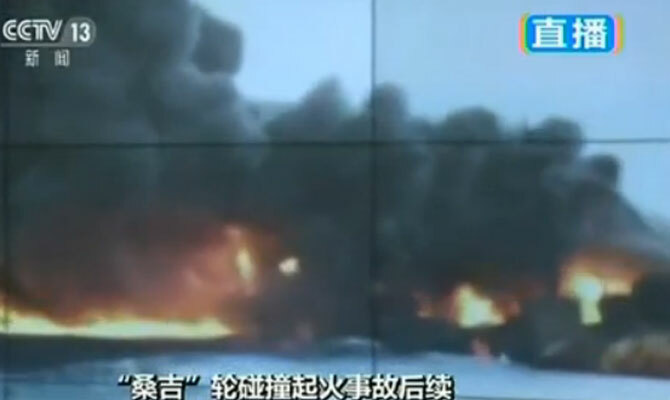 Tanker SANCHI sank in the afternoon Jan 14 Beijing time in position 28 22N 125 58E, after explosion at around 1200, followed by high flame up to 200 meters height. Tanker developed starboard side list of some 25 degrees and finally, sank at around 1500 UTC. All crew believed to be dead. It’s up to oil professionals to explain what kind of crude oil, and under what circumstances, can burn and explode so violently. Tankers are most survivable ships of all, and be it some other, any other, type of oil, SANCHI wouldn’t sink and fire wouldn’t engulf all of the ship and all cargo tanks. Judging from absolutely burned out superstructure and stern, there were some giant fire flames which reached out from cargo deck to stern, and engulf literally, everything around. It’s just unbelievable. 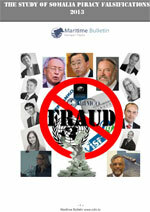 There shouldn’t be any big-scale environmental disaster, too much oil already burned or evaporated. Well, what kind of person cares for this environmental disaster anyway, when imagining the hell SANCHI crew went through? 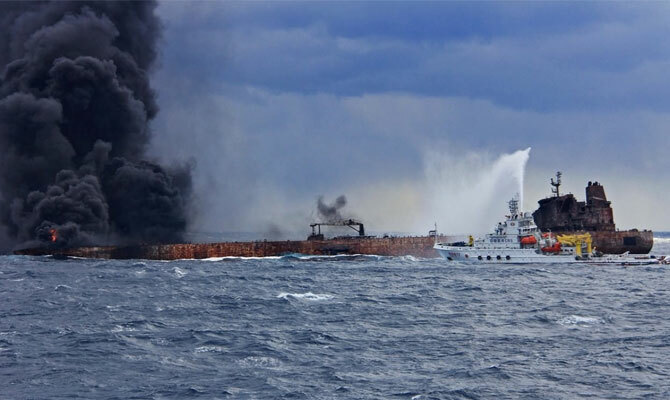 Crude oil tanker SANCHI collided with bulk carrier CF CRYSTAL at around 1800 Beijing time Jan 6 east of Yangtze river estuary in East China sea sea, according to Chinese sources. 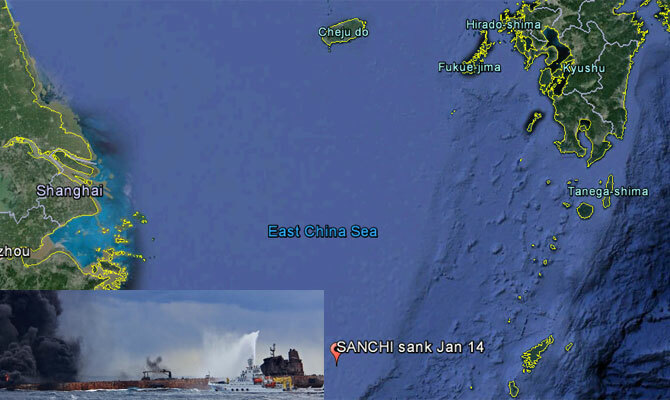 SANCHI loaded with 136,000 tons of crude oil was en route from Iran to Korea, while CF CRYSTAL loaded with 64,000 tons of grain was en route from USA to Guandong China. Fire erupted on board of SANCHI after collision, making rescue extremely difficult. 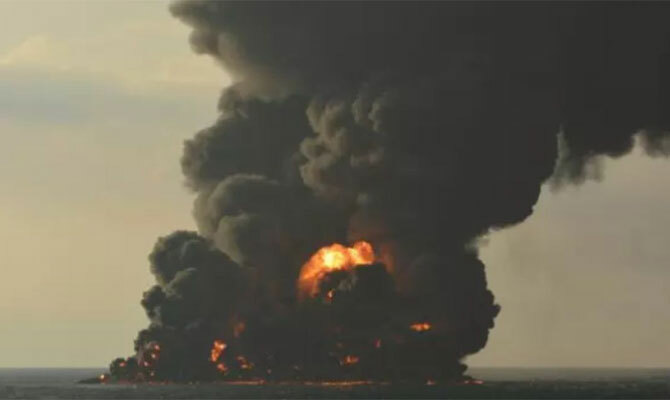 There are talks and news about SANCHI capsizing, but it’s highly improbably outcome, and according to latest updates tanker engulfed in fire is afloat. In the morning Jan 7 a fleet of SAR ships and patrol ships and boats was deployed in SAR. It is said, that SANCHI 32 crew are missing, but it doesn’t mean they are dead, most probably they can’t be rescued yet with such big fire raging on. Cost of oil on SANCHI board is estimated to be of some $60 mil. 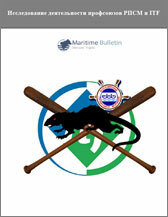 No information as to collision details, most probably both ships are guilty, though in different proportions. Bulk carrier suffered comparatively small damages, meaning that CF CRYSTAL, most probably, struck SANCHI. Crude oil tanker SANCHI, IMO 9356608, dwt 164154, built 2008, flag Panama, manager National Iranian Tanker Company NITC. Bulk carrier CF CRYSTAL, IMO 9497050, dwt 75725, built 2011, flag Hong Kong, manager SHANGHAI CP INTERNATIONAL SHIP MANAGEMENT & BROKER CO. LTD.
SANCHI tragedy. WSJ searching for something “hot and fishy”.